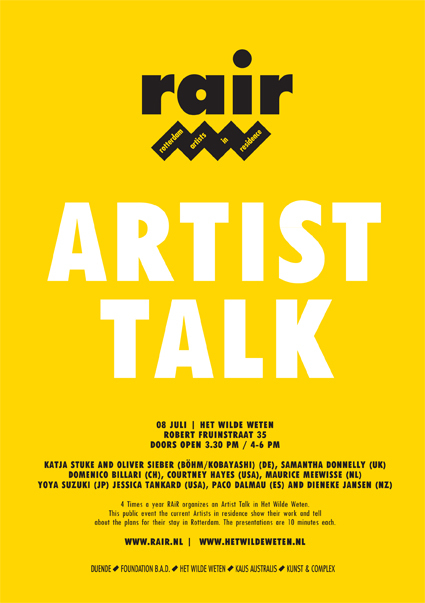 4 Times a year Het Wilde Weten organizes the RAIR Artistl. about the plans for their stay in Rotterdam. The presentations are 10 minutes each.